Scouts collected 80 pounds of trash along the railroad tracks in West Grove. Photo courtesy of Brooke Martin. 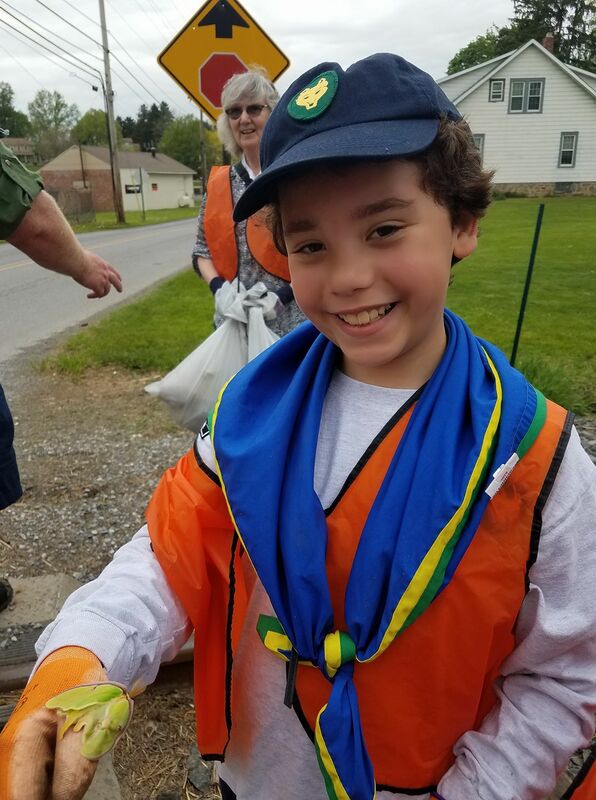 WEST GROVE, PA – MAY 6, 2018 – Despite the dreary weather, members of the 64th Brandywine Baden-Powell Service Association (BPSA) and their families participated in a litter clean up event this afternoon in West Grove. The event was part of the Great American Cleanup — Pennsylvania, a Keep America Beautiful affiliate. PennDOT provided gloves, vests and bags for the 2 hour service activity. Volunteers collected a total of 80 pounds of trash along the railroad tracks between Oakland Avenue and Guernsey Road. The scouts, aged 7-11, found many discarded items, included a child’s plastic pool, but were most excited to find a unique luna moth. The 64th Brandywine is a chartered group of the BPSA serving south Chester County, PA. The BPSA was formed in the U.S. in 2006 as a co-ed, inclusive, secular and traditional-style scouting association. The organization continues the principles and practices of Scouting developed by Robert Baden-Powell in 1907. The BPSA is not affiliated with either the Boy Scouts of America or the Girls Scouts of the USA; the BPSA is a member of the World Federation of Independent Scouts (WFIS). For more information at the 64th Brandywine, please contact Victoria Martin Grimme, scoutmaster@64thbrandywine.org or 610-563-4003. For more information about the Great American Cleanup — Pennsylvania, visit http://gacofpa.org. CAPTION: Timberwolf Nathaniel Hontz shows off the luna moth he found. 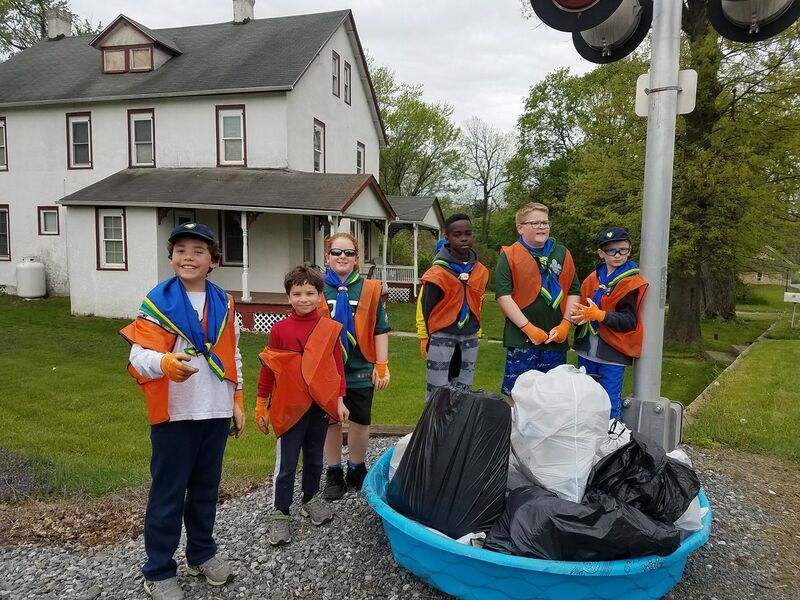 CAPTION: Scouts collected 80 pounds of trash along the railroad tracks in West Grove.